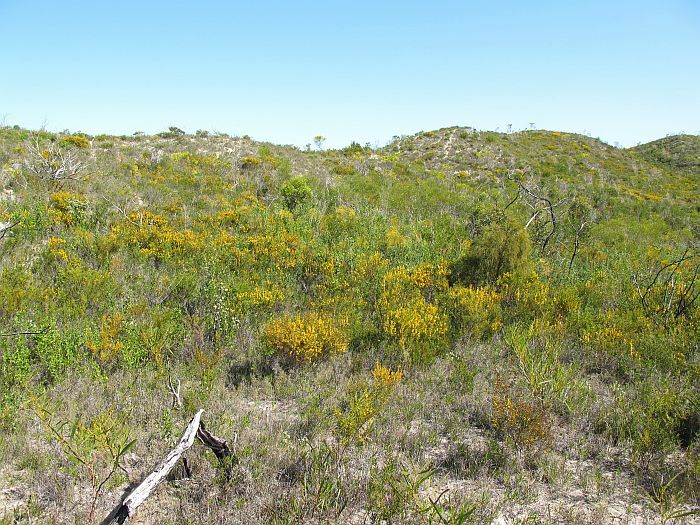 This is a very common wattle of stabilised coastal (calcareous) sandy soils and can form dense prickly thickets (where people in shorts do not go), from Lancelin (north of Perth) to the Nullarbor (west of the WA/SA border). 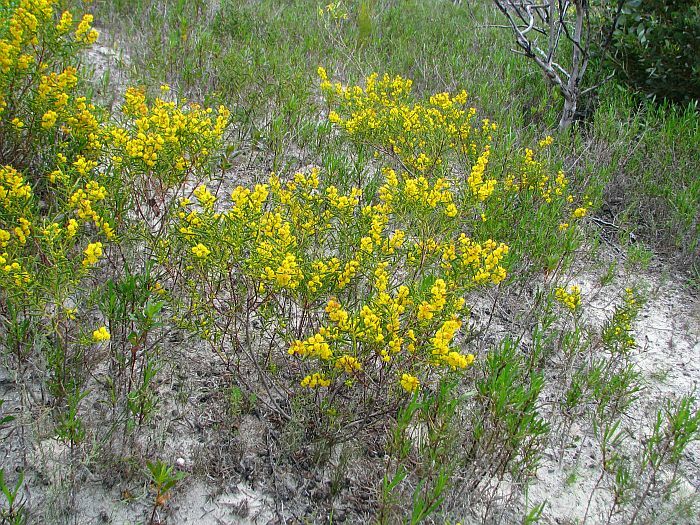 It also occurs, but to a lesser degree, further inland although still relatively near the coast on sandy loams over limestone. 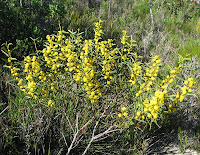 Depending on habitat (gully or hilltop) Acacia cochlearis grows mostly upright to 11/2 metres (5’), although it can get to twice that height in favourable habitats. 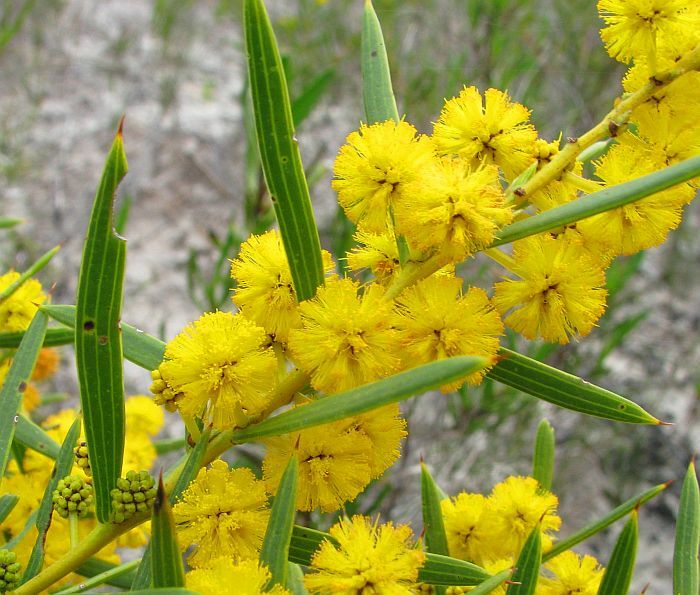 Throughout most of the Rigid Wattle’s range (although mostly inland) and also growing on various loams over limestone and at times overlapping with Acacia cochlearis, is a very similar species called Acacia latipes subsp. latipes. It varies by commonly being a spreading plant to a metre (3’) in height and over twice that wide. 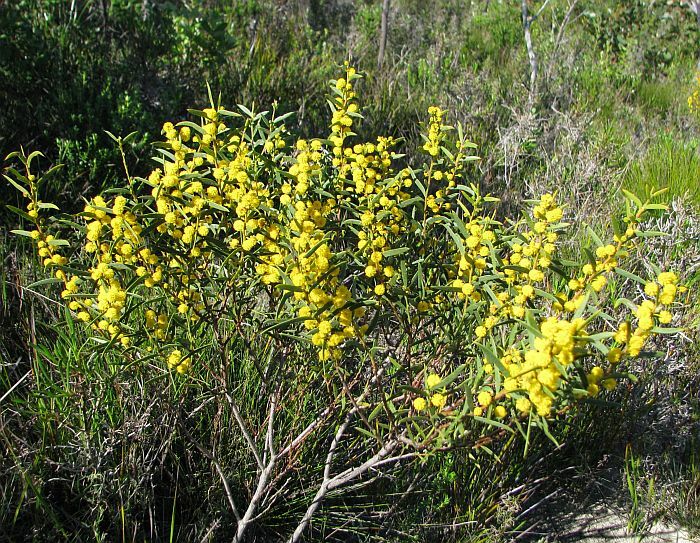 However there is very little difference between the flowers and pods, only the foliage being distinctive, although not by much (even the taxonomists, Cowan and Maslin in Nuytsia Vol 12. 1999, express doubts as to whether they are just different forms of the same species). Nevertheless, today they remain true species, probably because the more extreme forms are quite different from each other. Basically, the 3-4 phyllode nerves or veins of A. latipes subsp. 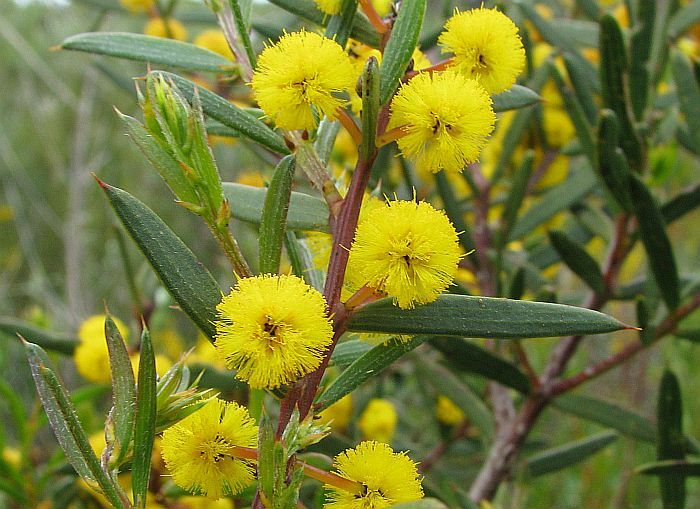 latipes are distinctly raised, whilst the nerves of A.cochlearis are not or only slightly raised, plus the phyllode base, where it connects with the stem is around half or less the maximum phyllode width. 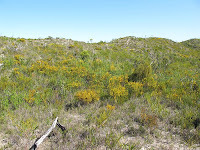 The phyllode base of A. latipes subsp. latipes on the other hand is only a little less than the phyllode width. From the specimens of the two species in my possession, the phyllodes of A. latipes subsp. 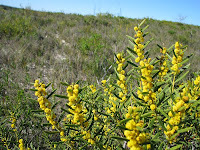 latipes are smaller in all respects than A. cochlearis, plus tending to be more spreading and slightly recurved. The flowers of Acacia cochlearis vary from yellow to gold and can produce a good floral display between July and October, the exact timing depending on local rainfall. The other A. latipes subspecies (subsp. 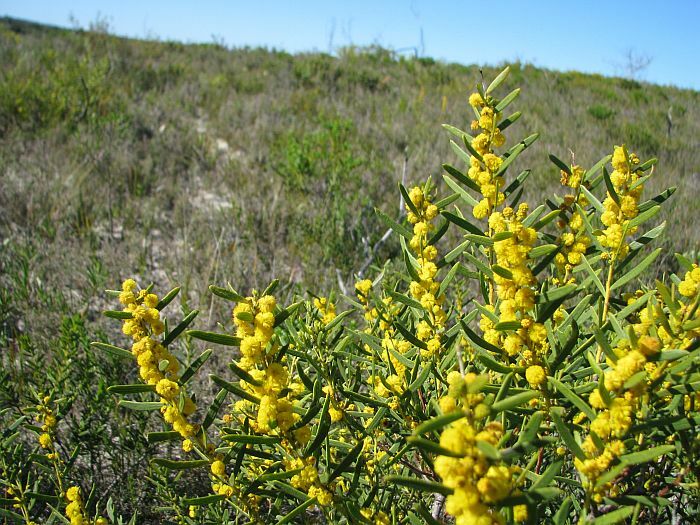 licina) is less common and only found in the Geraldton region, differing from subsp. latipes in longer and upwardly curved phyllodes.